On Friday, a former student at a university in Lexington, Ky., carried a machete and a bag of knives into the school’s café and attacked students who identified themselves as Democrats, authorities said. 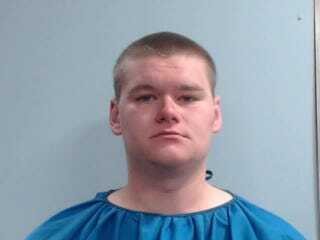 The Lexington Herald-Leader and Lex18.com report that according to police, Mitchell W. Adkins walked into a café at Transylvania University before 9 a.m. and began asking diners about their political affiliation. When one of the victims gave an answer Adkins didn’t like, witnesses report that he stabbed her, police say. School security officers responded quickly and subdued the suspect, but not before two women were injured in the attack. Adkins was taken to a local hospital with self-inflicted wounds and now faces charges of first-degree assault, wanton endangerment and assault, authorities say. As a liberal arts college, Transy gets people in from all around the country, including many from different countries. Sweet, I get a fresh new start with fresh new people. I get to make my reputation however I’d like it. But within a week, I had already made several enemies with a single fact; I am a proud Republican. It’s amazing to me that when I listen to someone’s political opinion and then give my own, I’m the one who’s lashed out at for being a “racist” or “bigot,” some even go as far as saying “bane of society” or “fascist Nazi.” When it came out that I wasn’t a whole fan of the whole gay marriage Supreme Court ruling or that my ideas of a former Bruce Jenner were that he was in no way whatsoever brave or respectable, that’s when things started to get out of hand. I lost friends left and right. People even went out of their way to not talk to me, to make me a social pariah because I had different beliefs. Adkins later updated the BuzzFeed post to say that he had dropped out of Transylvania University after he was constantly bullied for being a Republican, which, according to him, led to a drug overdose and stays in mental institutions. While society focuses so often on gun control after school shootings, no one seems to raise an important safety question: Who keeps selling machetes to mentally ill people? More importantly: So, no one noticed the guy jangling across campus with a “bag of knives”? Nobody? I’m not saying big government has to step in; nor do I advocate profiling or stereotypes. But have you ever seen a sane person with a machete? Listen, white people, no one thinks all white men are up to no good, but it is up to the moderate white people to warn us about the radicalized ones. When was the last time you were completing an arduous task and thought, “A machete would make this so much easier”? If you are ever out with a group of friends on a Friday night and someone has to leave early, ask him why. If he responds with, “I need to get up early so I can head to Home Depot to do some machete shopping,” do us all a favor and call the police! Read more at the Lexington Herald-Leader and lex18.com.